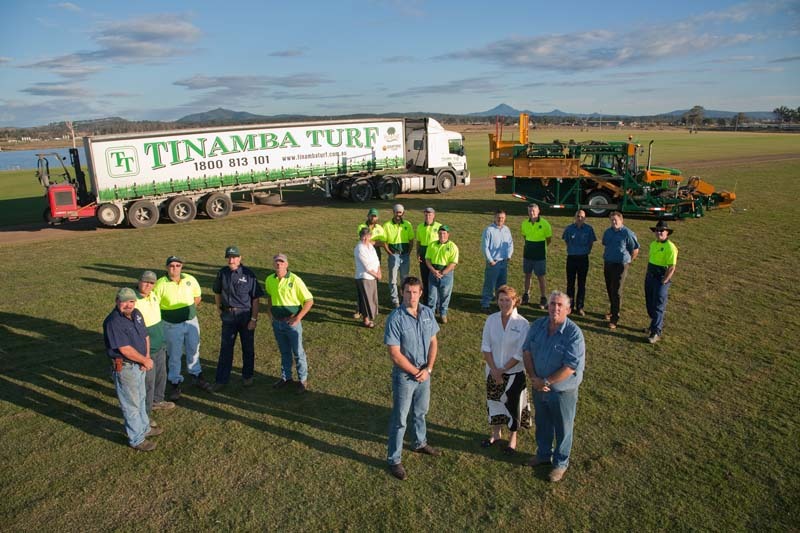 Tinamba Turf has been growing, delivering and installing the highest quality lawns since 1988. 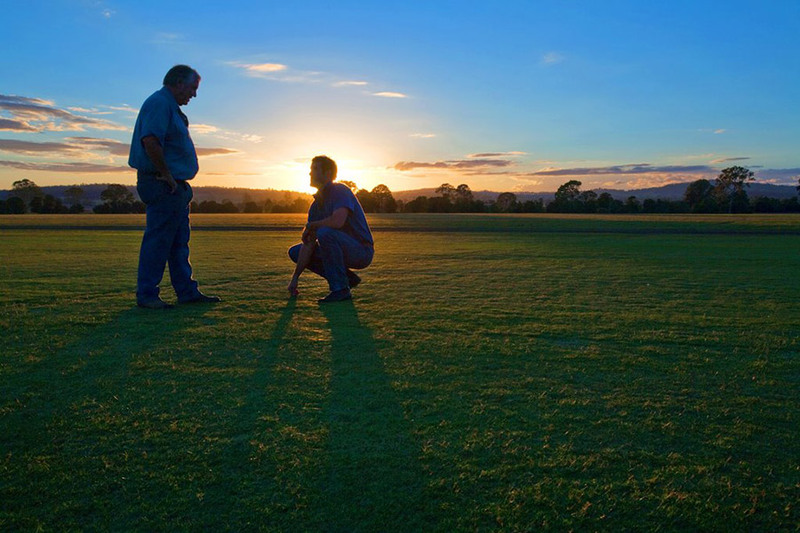 This once small family business has now expanded into further locations and boasts specialised turf varieties grown specifically for South East Queensland. This growth can be attributed to reliable service, family-friendly information over the phones and the professional advice from our on-road sales team. Our pride in the quality and range of our products has been an integral part of Tinamba Turf’s development into a leading turf producer and supplier. We appreciate that buying turf is a big decision and we want nothing more than for your new lawn to be a success. At Tinamba Turf we will make sure that you will have peace of mind before your new lawn even arrives. We look forward to hearing from you. 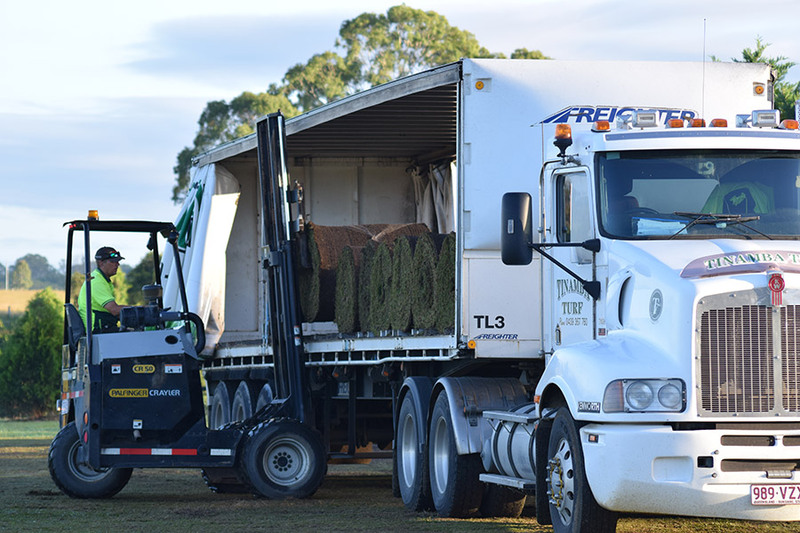 Tinamba Turf and Clifton Park Turf, together, means that we are the largest supplier in both South East Queensland and Australia. Our properties today provide 800+ acres of carefully irrigated land and 12 different varieties of turf, each grown for a specific application. This means that instead of selling what we have, we are looking to provide you with the perfect match for your new lawn. All of our farms are attended carefully by qualified greens keepers to make sure that we are serving up green quality turf for your new lawn. Coupled with our quality, we offer an easy delivery service with each truck carrying a forklift that will always get your new lawn close to the prepared surface, making your install as enjoyable as possible. Blade for blade a lay down misere! With 30 years of experience and 12 different varieties we’ll promise you this: we’ll supply you with a lawn that will survive and thrive under any combination of weather conditions that Mother Nature can throw at it. Our claim to fame has always been that we strive to provide a lawn to suit your requirements at a price to suit your pocket. We’ll be happy to lay your lawn for you or if you prefer to do it yourself we will have a team of green thumbed experts on the phone to guide you through every step of the installation.